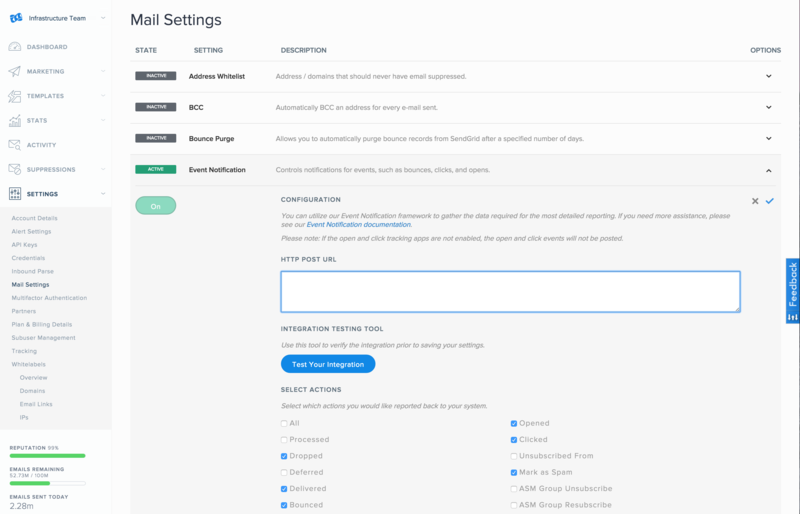 Zaius configuration with SendGrid is simple to perform and involves pasting Zaius' tracking URL into the SendGrid UI. 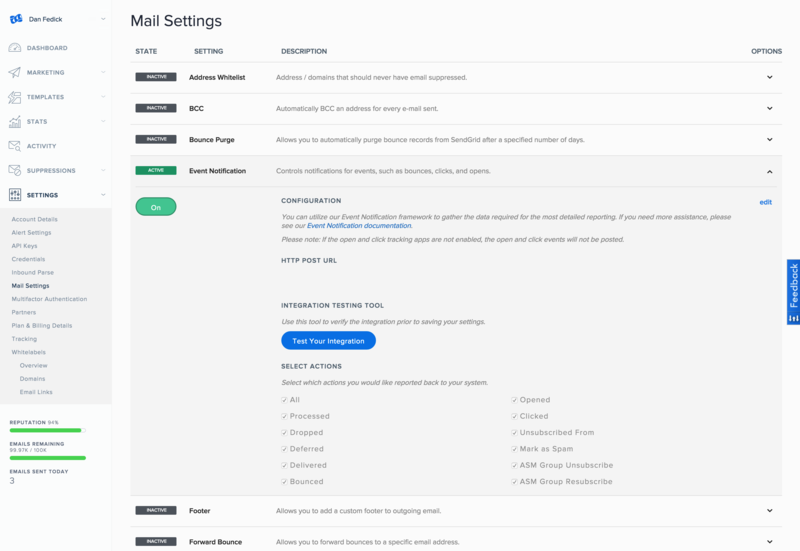 Login to your SendGrid account and select "Settings". 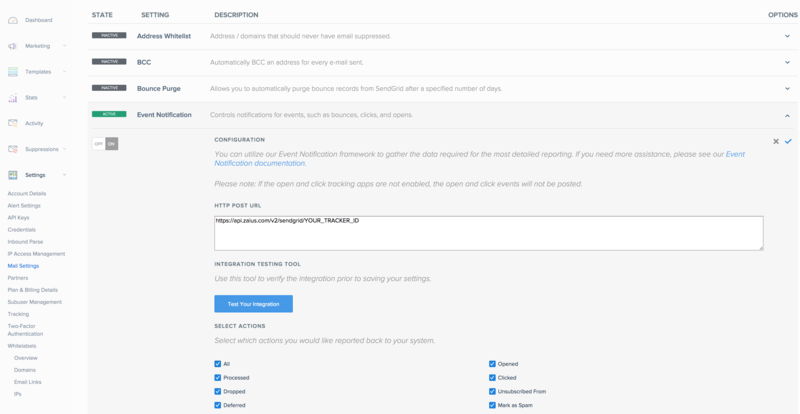 Enable recording of all event types in the UI and fill in HTTP POST URL with https://api.zaius.com/v2/sendgrid/YOUR TRACKER ID, as shown below, replacing "YOUR_TRACKER_ID" with your Zaius Tracker ID , then click the checkmark to save the results. 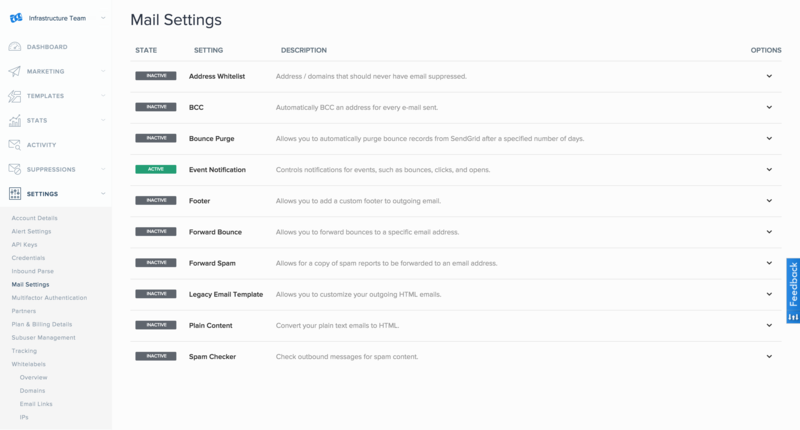 Then enable Open Tracking, Click Tracking, and Subscription Tracking by going to "Settings" then "Tracking". Refer to the SendGrid Tracking User Guide for more information. Newly generated SendGrid data will now appear in Zaius. Navigate to Cog Icon > Data Management > Integrations. Select the SendGrid tile. 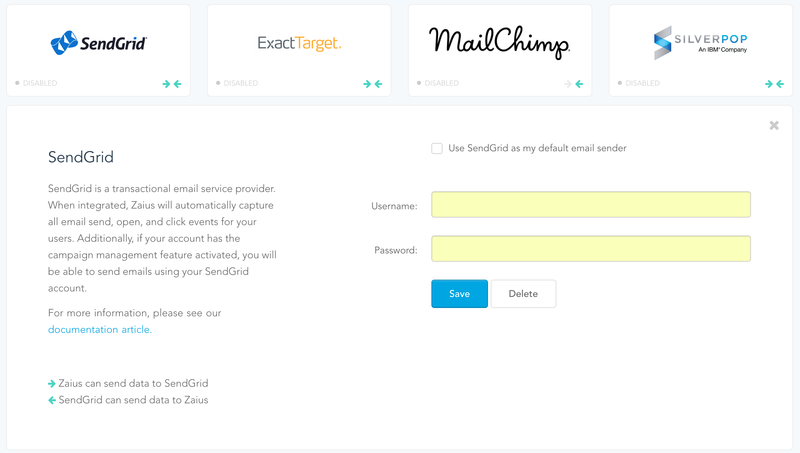 Fill in your login and password to match your Sendgrid credentials and click Save.